This section describes options for eye care in the Corozal District. This includes visits several times a year by eye surgeons and other eye care professionals from Benevolent Missions International (BMI), once or twice a month from the Belize Council for the Visually Impaired (BCVI), and occasional other visits, such as the Rayjon-Rotary Project. 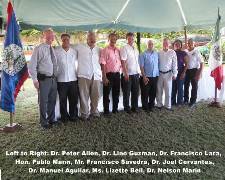 In 2012 there was a big ceremony marking the first ever Bi-National Health Agreement, a cooperative effort between the Belize Association of Doctors and Dentists and the Colegio Médicos Quintanta Roo. There was also a Health Fair and Clinic that day. 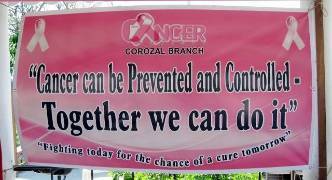 Since 2012, there has been a branch of the Belize Cancer Society in Corozal. This page describes the activities of the Cancer Society, including pages on its official launch, and the Cancer Awareness Walk in 2012. 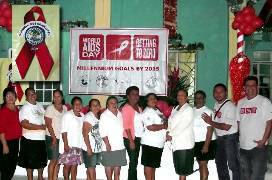 Corozal has also been active in the prevention and treatment of HIV/AIDS. This page includes photos of a candlelight vigil that led to World Aids Day in 2011. Printed from https://corozal.com — Health and Medical in Corozal.